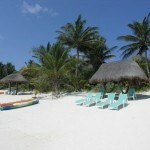 Nah Yaxche is nestled among the coconut palms, facing the Caribbean on Soliman Bay. 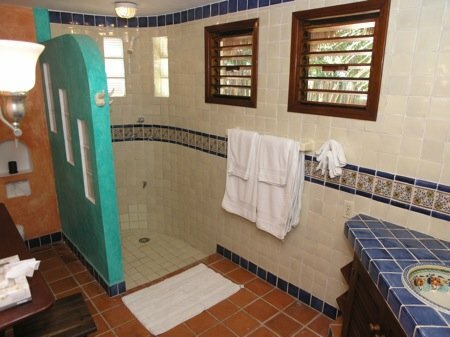 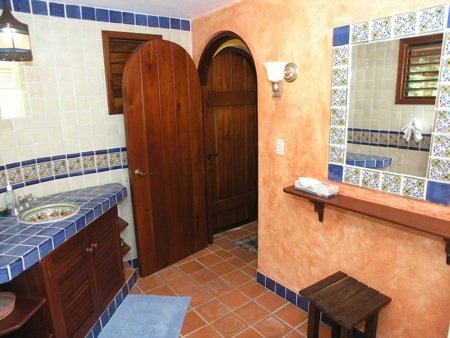 This bungalow style casa has the conveniences and decor you would expect of a beach home, not just a rental. 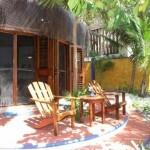 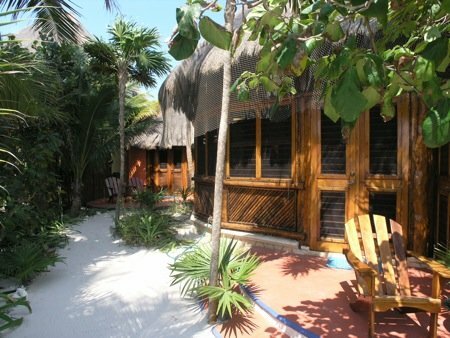 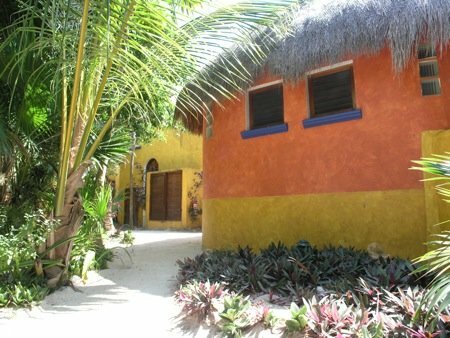 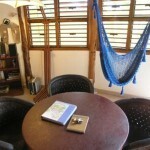 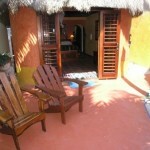 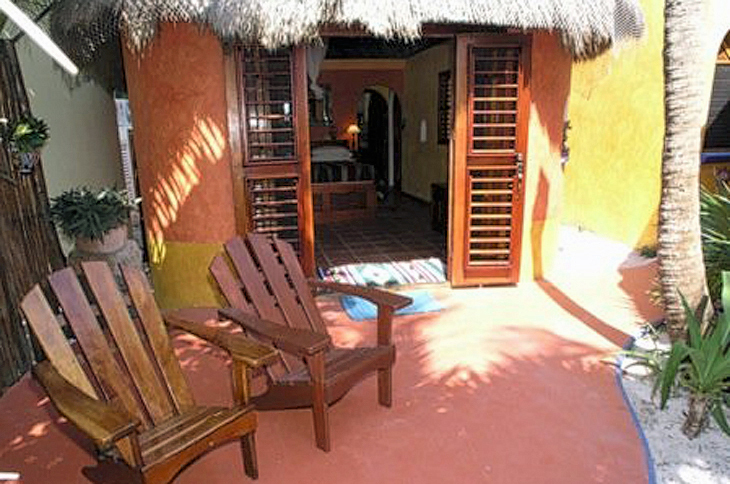 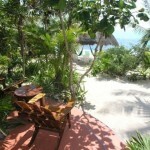 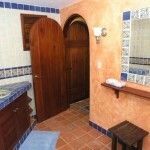 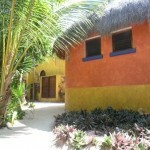 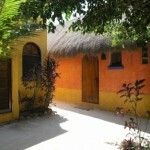 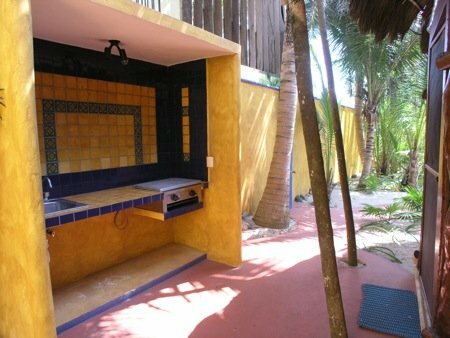 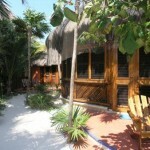 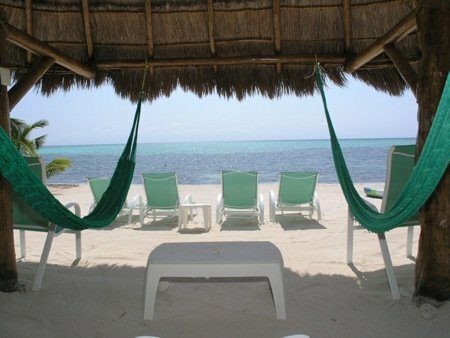 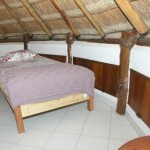 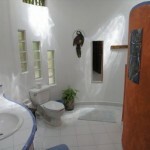 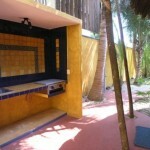 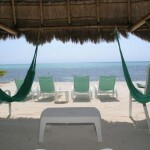 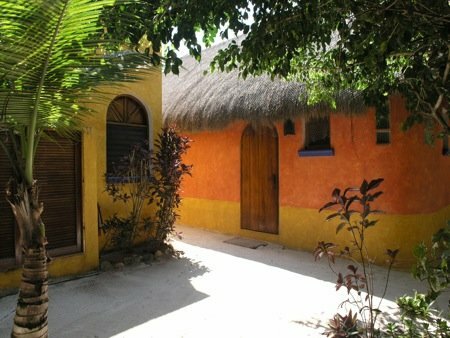 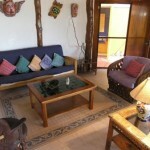 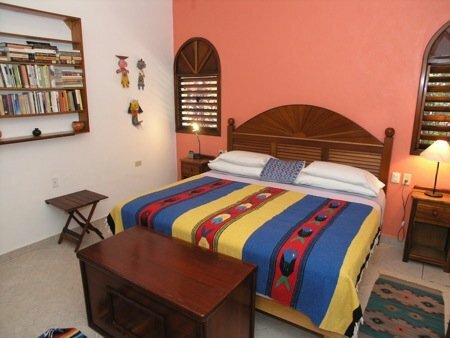 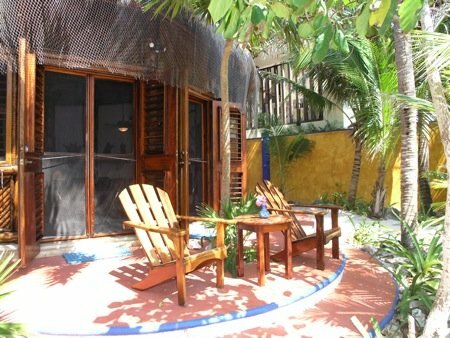 It is conveniently located between Akumal and the Tulum ruins, roughly 20 minutes from each. 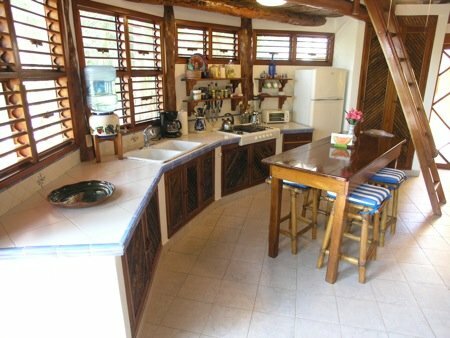 Its location, on beautiful Soliman Bay, makes it a great getaway for couples and small families seeking fun in the sun, sand & surf, as well as a sense of tranquility we can only get by removing ourselves from the chaos of our everyday lives. 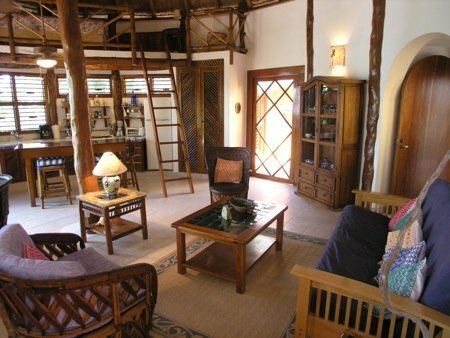 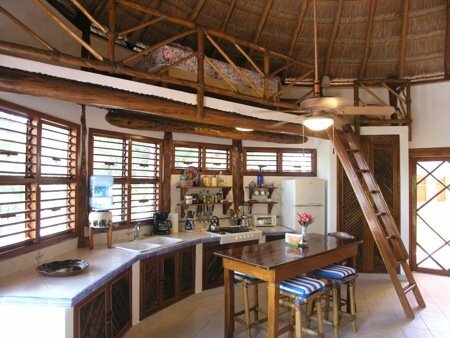 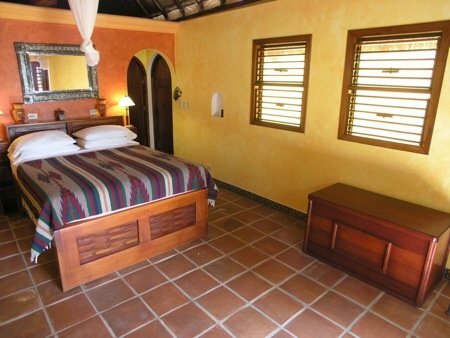 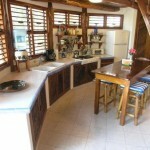 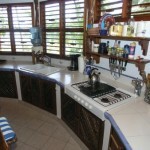 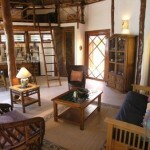 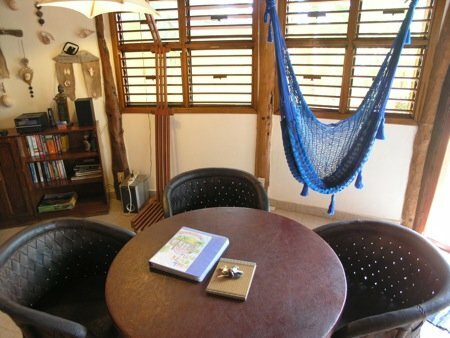 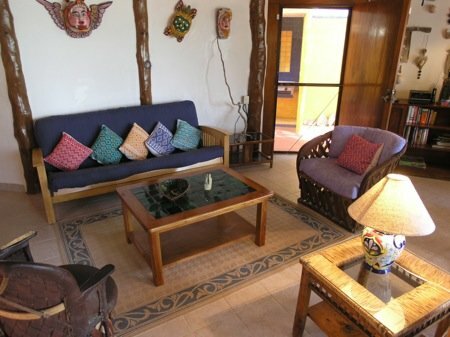 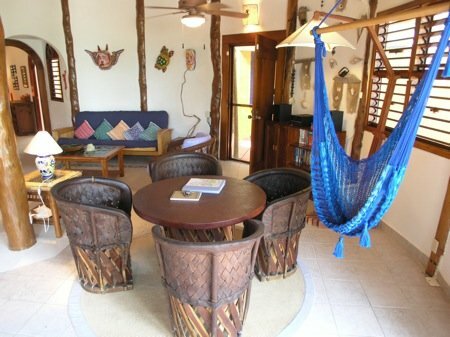 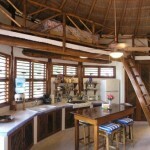 Inside Nah Yaxche, wooden shutters all around let you open the house up, inviting in the refreshing, tropical breezes. 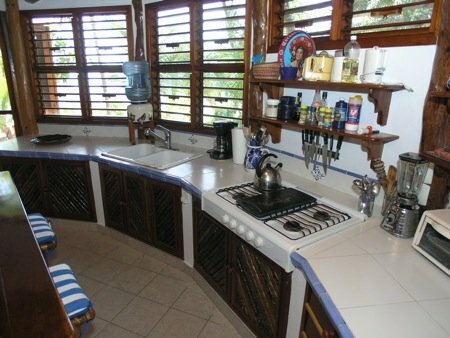 The house has an open floor plan with a spacious living area, full kitchen, complete with toaster oven, blender, hot water kettle, and coffee pot. 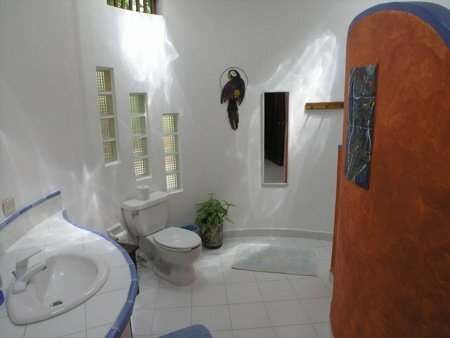 There are two bedrooms, two bathrooms and ceiling fans throughout. 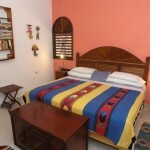 One of the bedrooms is just off of the living room and has a king size bed and private bathroom. 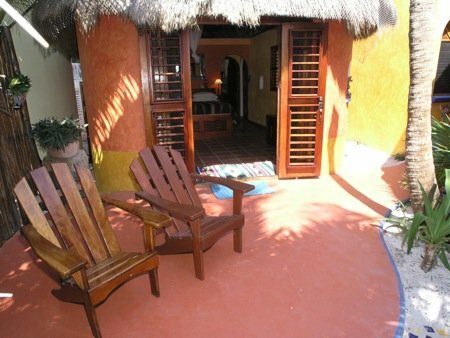 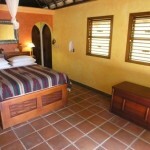 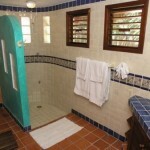 The other is an ocean view bedroom suite with a private entrance from the beach, queen size bed and private bathroom. 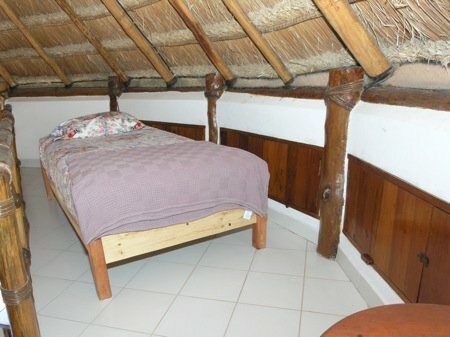 A futon couch in the loft of the main house can accommodate one additional person. 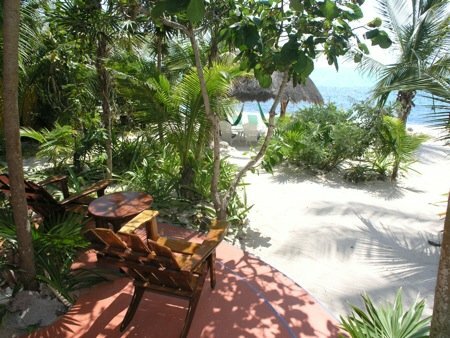 On the beach side, a patio overlooks Soliman Bay and the Caribbean, and a shade palapa on the beach has two hammocks and lounge chairs for sunbathing. 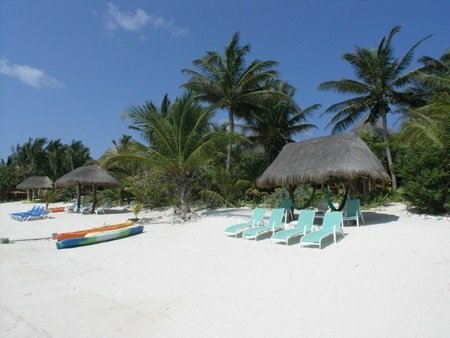 Soliman Bay is a wonderful place to enjoy kayaking and snorkeling. 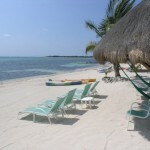 An outer reef break reduces the surf and creates the large tranquil bay. 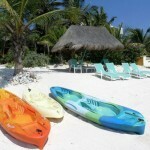 Snorkeling and kayaking are popular ways to pass the time and enjoy the sun. 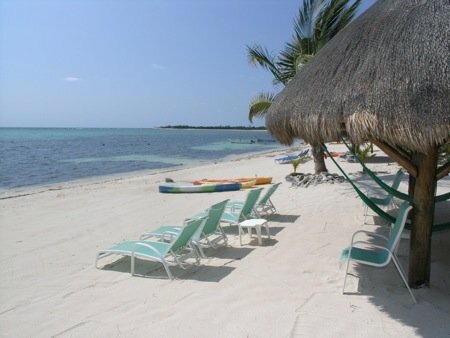 A variety of tropical fish populate the coral heads and calm waters, along with the occasional ray and sea turtle. 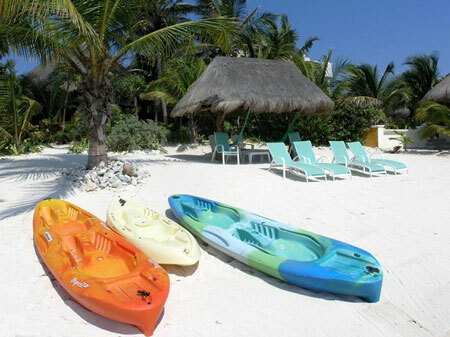 Two sea kayaks are provided for cruising the bay. 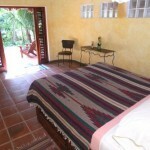 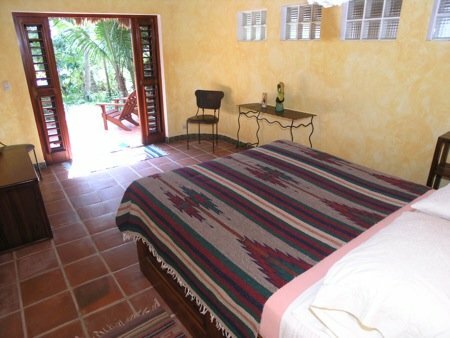 Rates are in USD, per week, for up to 4 people. 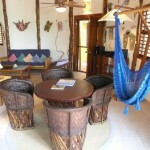 Add $100 per person over base occupancy of 4 guests.